A cherub holds his hands in prayer in this granite sculpture for a garden or as a monument. Beautifully detailed and hand sculpted. Created in granite and is hand carved by artisans. 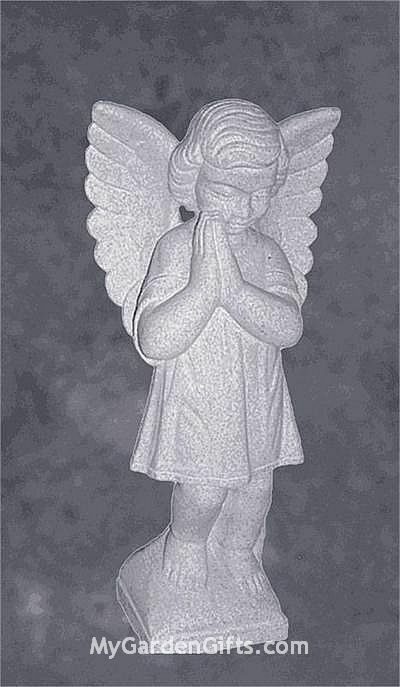 Our granite sculpture comes beautiful and exquisite, a wonderful addition for a church, home or a school and even a hospital that celebrates the beauty of the Catholic faith. The sculpture offers fine features. No two sculptures will be the same. Hand carved pieces.